The following was distributed to APPEC members stating that an APPEC appeal has been filed of the wpd White Pines Wind project. The approval of the 27-turbine White Pines Wind Project has been widely condemned. The APPEC Board, on behalf of its members, has responded to the approval by filing a Notice of Appeal with the Environmental Review Tribunal (ERT). APPEC’s appeal was filed on Friday, July 31st with the ERT and served on the Ministry of the Environment and wpd White Pines Inc. The appeal contests the approval on grounds that this project, if allowed to proceed, will cause serious harm to human health and the natural environment of the Prince Edward County south shore. APPEC is well-prepared to launch this appeal. We have been actively critiquing the project since 2010 when it was issued a FIT contract. We are motivated and we are ready with a legal team and expert witnesses. We are organized to succeed on both appeals. In order to ensure success the APPEC Board will be seeking your financial support and time commitment in the weeks to come. Regrettably the Ministry of the Environment has seen fit to issue a renewable energy approval (REA) to wpd White Pines Wind Inc. to construct 27 wind turbines in South Marysburgh and part of Athol. Once again the Ministry has chosen to put the health and welfare of County residents (or using the Ministry’s terminology “receptors”) in jeopardy. For the second time in as many years the Ministry has ignored the expert advice of conservation experts that a wind project on the County’s south shore will cause serious harm to wildlife. 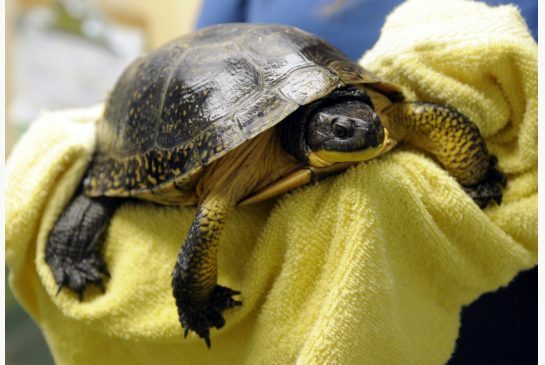 Not even the finding of an Environmental Review Tribunal that a wind project at Ostrander Point will cause serious and irreversible harm to the Blanding’s turtle was enough to deter the Ministry. ​While we had hoped this day would not come APPEC has been preparing for it for some time. ​We are presently reviewing the REA document and arranging to meet this weekend with our legal counsel to discuss the health and environmental ERT challenge as well as examine other options for a successful legal case against wpd​. Some comfort ​can be taken in the fact that there is considerable expertise in the County and many allies in PECFN, SSC and CCSAGE Naturally Green​, in the media and in the municipal government who will ​contribute their expertise, time and efforts to protect the south shore. 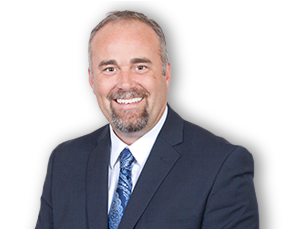 We also have a strong ally in the provincial government, Todd Smith MPP. ​In this regard we have enclose​d​ Todd’s letter to the Minister of the Environment Glen Murray on ​wpd’s approval (click here to view letter). ​Above all, your support is needed and appreciated to ensure a successful fight. APPEC’s case is being heard by Justices Nordheimer, Linhares de Sousa and Whitaker of the Ontario Superior Court of Justice (Divisional Court). The evidence in this proceeding did not establish a causal link between wind turbines and either direct or indirect harm to human health at the 550 m set-back distance required under this REA. The evidence in this hearing did not establish that engaging in the Ostrander Point wind turbine project in accordance with the REA will cause serious harm to human health. Our MPP Todd Smith sends some timely words of support and encouragement as we take our case to the Ontario Superior Court of Justice next week. Mr. Smith has indicated to us that he will be monitoring the proceedings closely. We are fortunate to have Mr. Smith as our provincial representative and also as one of our staunchest allies. In his letter Mr. Smith points out that “We have pushed a major wind developer, the Ministry of the Environment and the wind power lobby as far as anyone in Ontario has ever pushed them.” Indeed this is the first time in the province that a decision by an Environmental Review Tribunal has been challenged in a higher court. The grounds for APPEC’s appeal are narrow: the Court will only consider whether errors of law were committed by the Environmental Review Tribunal (Robert Wright and Heather Gibbs) in arriving at their decision to dismiss APPEC’s case on health. However APPEC’s grounds are solid. As Eric Gillespie will argue, the demands of the Environmental Review Tribunal far exceed the legal test that wind victims are “more likely than not” suffering serious harm to health from wind turbines. The Ontario Superior Court of Justice (Divisional Court) will be hearing the appeals of last July’s Tribunal decision for Gilead Power’s wind project at Ostrander Point. During the week lawyers representing APPEC, the Prince Edward County Field Naturalists (PECFN), South Shore Conservancy, Ontario’s Ministry of the Environment (MOE), Gilead Power Corporation and the Canadian Wind Energy Association (CanWEA) will be presenting their cases. The South Shore Conservancy and CanWEA have Intervenor Status and are able to make brief verbal and written presentations. The hearing will be held in Osgoode Hall, 130 Queen St. W., Room 3 and is open to the public. Osgoode Hall is accessible from the Osgoode subway station on the University line. There is parking nearby at the Toronto City Hall Parking Garage. The hearing is set to start on Tuesday, January 21 at 10 a.m. Members of APPEC and PECFN and other interested people will be in attendance at the hearing. The schedule below is our best estimation at this time of what will occur on a day to day basis. However it is only a preliminary guide and should be treated as such. As the hearing proceeds the panel may be making adjustments to allow some aspects to go faster or slower. Jan 21 (Tuesday) Attempt by Gilead Power Corp to introduce new evidence. Jan 21 & 22 (Tuesday / Wednesday) will deal with the Environmental Review Tribunal decision to revoke REA approval issued by the MOE to Gilead Power. Jan 23 (Thursday) PECFN appeal on migratory birds and alvar. Day 4 (Friday) APPEC appeal on health. BARNSTABLE (Nov. 22) In a major victory for homeowners living near a wind turbine in Falmouth, Barnstable Superior Court Judge Christopher J. Muse issued a preliminary injunction today to sharply reduce the turbine’s hours of operation. Under today’s ruling, Falmouth’s two turbines must shut down from 7 p.m. to 7 a.m. Monday through Saturday, and all day on Sundays, Thanksgiving, Christmas, and New Year’s, effective immediately. Picton, Ontario / The Alliance to Protect Prince Edward County (APPEC) announced today they have filed an Appeal to the Ontario Divisional Court of the recent Environmental Review Tribunal Decision (ERT) on serious harm posed to human health by a wind turbine development at Ostrander Point, in Prince Edward County. According to APPEC legal counsel, Eric Gillespie, this Appeal is based on alleged errors in law found in the ERT July 3, 2013 Decision on APPEC’s Appeal of the Renewable Energy Approval issued to Gilead Power by the Ministry of the Environment.